I’m still somewhat on the fence about the two Pokémon: Let’s Go games for Nintendo Switch, but something tells me that I’ll end up impulse buying one of ’em in November once they’re out and people begin flooding my Twitter feed with nostalgic clips. That’s usually how these things go for me. Of the two, I’d much rather have Eevee as my starter than the attention-hogging Pikachu. Easy enough decision, right? It was! But now I’m conflicted. Pokémon: Let’s Go, Pikachu! and Let’s Go, Eevee! have exclusives. 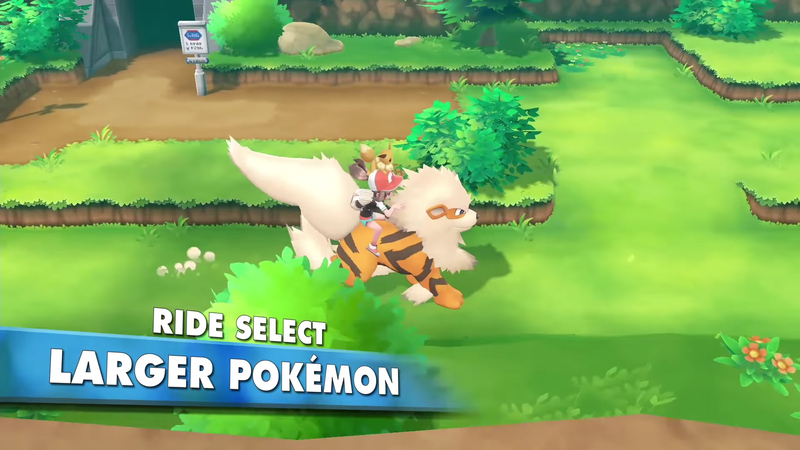 After watching this story trailer, I’m convinced I need Arcanine on my team asap. You’ll be able to trade Pokémon locally or online, so maybe I’ll just offload my Ninetales.